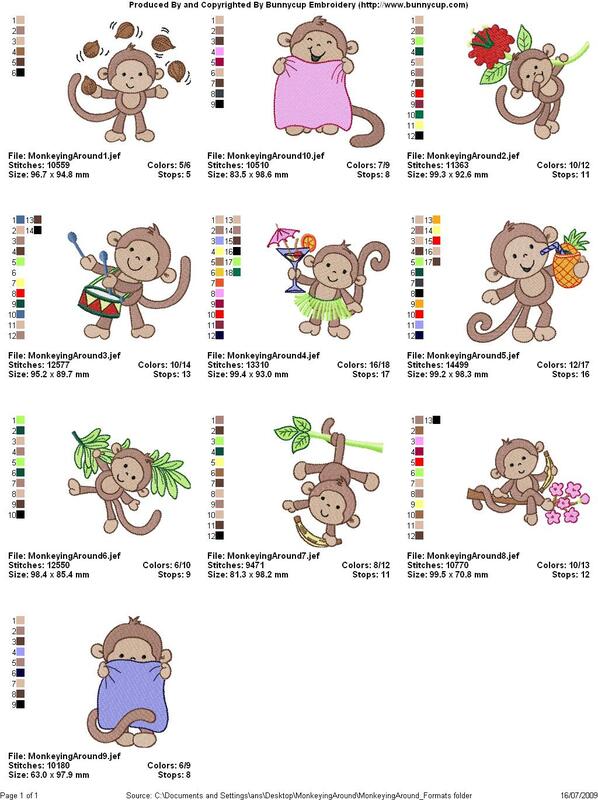 Cathy also made these cute tea towels using Monkeying Around designs - too cute! Leilany sent in this fabulous burp cloth she made using a Monkeying Around design. Diane sent in these pictures of a onesie and blanket she made for her coming grandchild using Monkeying Around designs. So, so cute. Amber sent in these pictures of some great burp cloths she made using Monkeying Around designs. Sandra sent in this eye catching baby quilt she made using Monkeying Around designs. Elsie sent in these great bibs she made using Monkeying Around designs. Enis sent in this picture of two adorable bibs she made using Monkeying Around designs. Enis sent in this darling quilt she made using Monkeying Around designs. Jennifer sent in this picture of a fun burp cloth she made using a design from Monkeying Around. Karen sent in this picture of a set of fabulous burp cloths she made using designs from Monkeying Around. Jennifer made this adorable burp cloth using a design from our Monkey Around set. Jennifer has a great business and facebook page if you wanted to check it out.